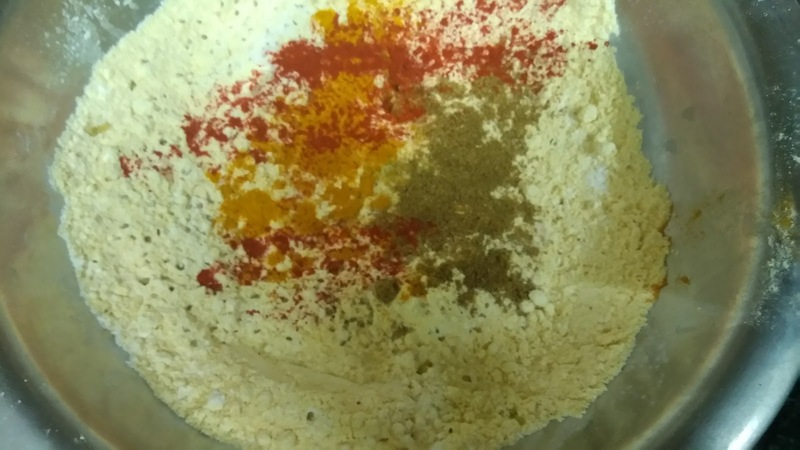 Mix together besan, cornflour, salt, coriander powder, turmeric powder and carom seeds. Mix them well. 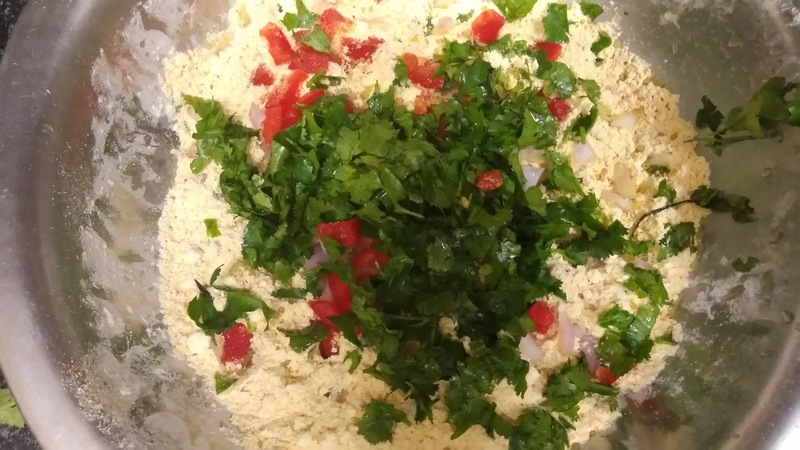 Add chopped onion, tomato, bell pepper and generous amount of freshly chopped coriander leaves. Add water to make thick batter. Add baking soda. 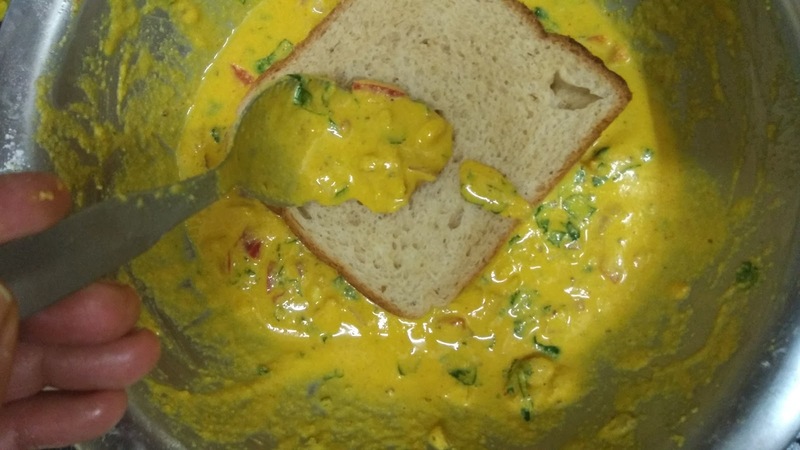 Dip bread and coat with batter all over with the help of spoon or hand. Heat pan, drop some oil and a teaspoon of butter. Toast bread from both the sides on medium to high flame till brown and crispy. 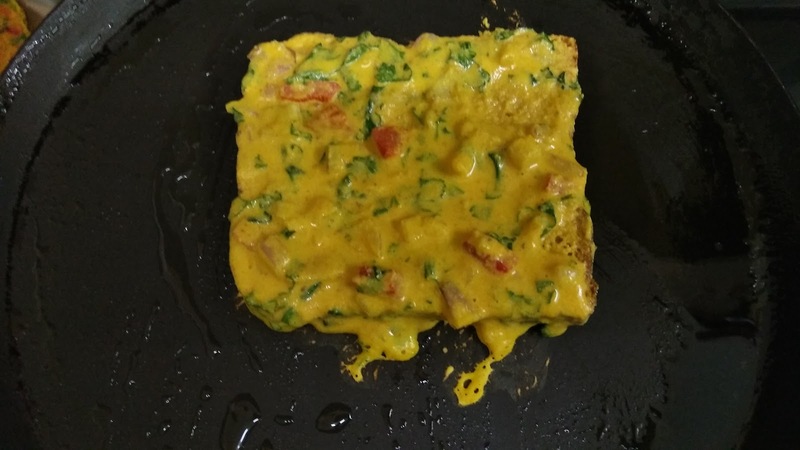 Serve with tomato sauce or pack in kids tiffin box. 1. Batter should not be too thick else bread will be dry and hard. It should be thick but easily spreadable on bread. 1. 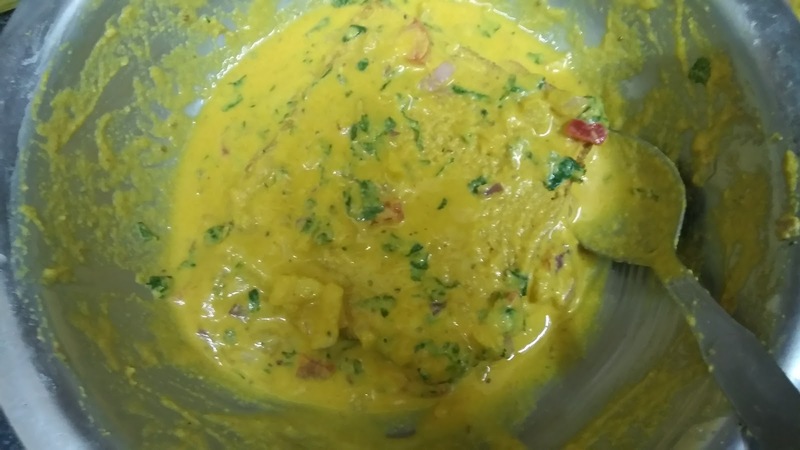 Mix well besan, cornflour, salt, chilli powder and dhaniya powder. 2. 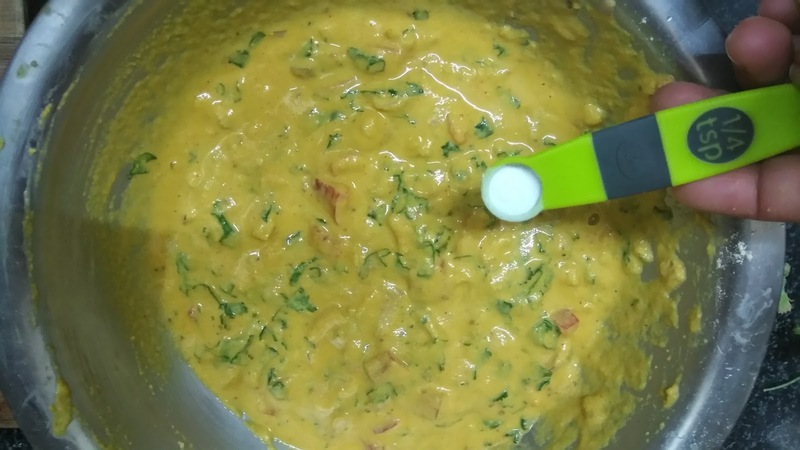 Add chopped onion, tomato, bell pepper and coriander leaves. 3. Add water to make thick consistency batter. Add baking soda. 5. Well from all the sides. 6. 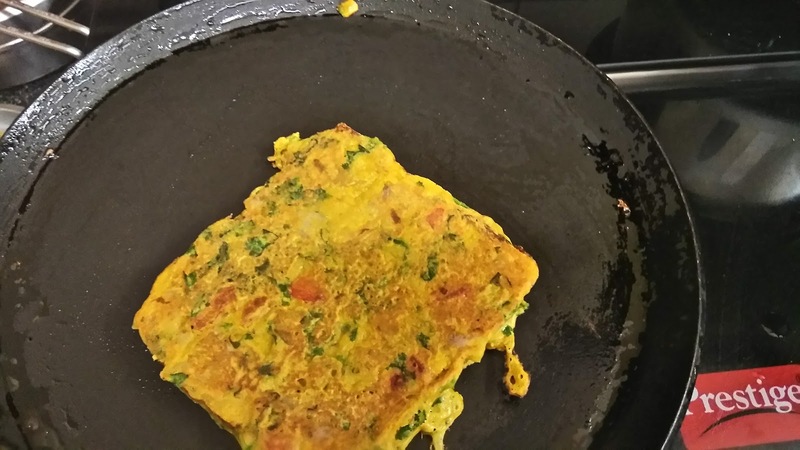 Toast on hot tawa or pan. 7. From both the sides till crisp and brown. 8. Serve with tomato sauce. 9. Or pack in kids tiffin.